If you are using a custom domain with Blogger Blog as "www.yourdomain.com" or just like me "www.shoaibonline.com" i am also using a custom domain with blogger. Here you can learn how to make (create) a sub domain on a blogger custom domain. 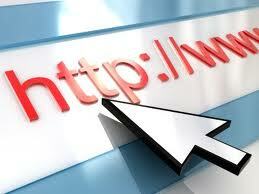 An example of sub domain is "www.blog.yourdomain.com". To create sub domain on blogger custom domain you need to create a CNAME record on your custom domain and switch your Blogger Blog to the custom sub-domain. Now i am assuming that you have a blogger blog where you want to make a sub domain. Provide here the URL blog.yourdomain.com and Save. If you are still in problem or confusion feel free to Contact with me or comments bellow.